When I was in high school, one of the classes on my schedule my senior year was called American Studies. The class captured me in ways very few others did. We left the high school by bus each day and were transported to a building downtown where we spent about half the school day. We learned the basics: English, science and social studies, but we learned extras, too. Our class met in a historic building known as the "old jail." It served as the county jail from 1856-1890. It's one of the oldest buildings in town. It's a two-story, brick building that is unfortunately now on the "places in peril" list. One of the "extras" we were introduced to in the old jail was art, specifically impressionism. I loved everything about it: the colors, the subjects, the serenity, the classic look and style it adds--all of it. Here are a few of the painters I met in my American Studies class. 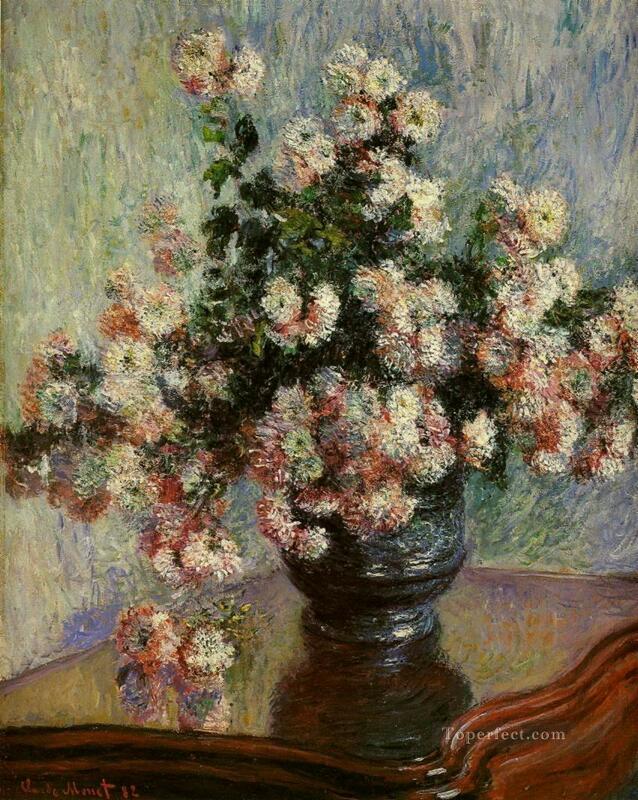 My favorite from Monet is Chrysanthemums. I had a giant print of it framed and over my couch for years. I'd actually forgotten about it until I was getting this post together. 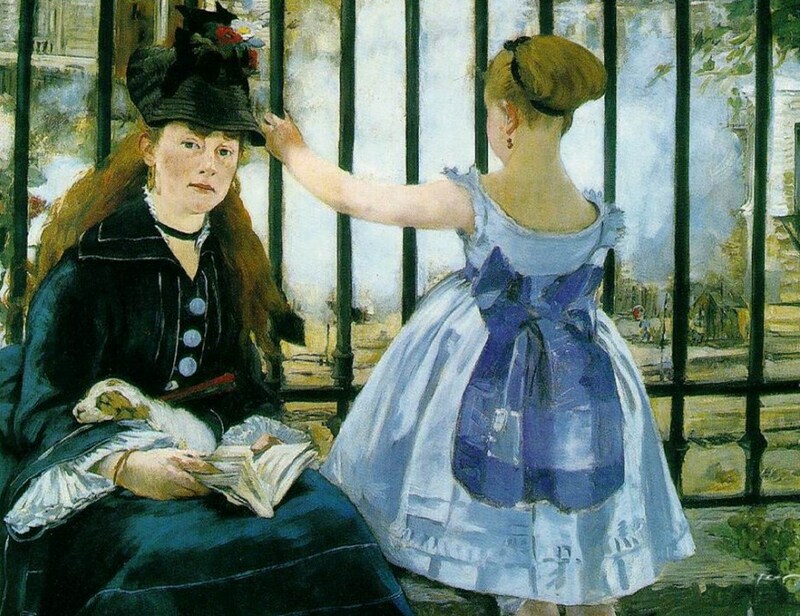 This is The Railway by Manet. The shades of blue and the simple scene are what stands out to me. For a little more insight, here is a short video I found. 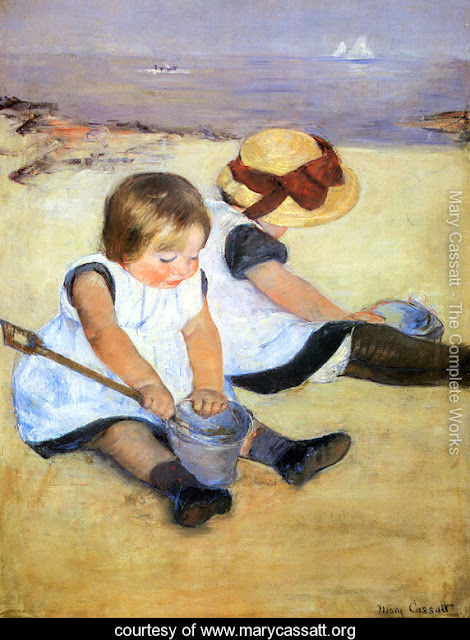 This is another work of Manet. A King Charles Spaniel. Mary Cassatt is probably my favorite. Her subjects were often people, usually women and children. Other than three of the finest teachers in education at the time, the best part of American Studies was our field trip to Washington, D.C. I still have such vivid memories of the trip, even though it seems like a lifetime ago. I'm thankful and grateful my parents were able to send me. While there, we visited the Metropolitan Museum of Art and saw the works we had studied in class. It was wonderful to see them up close and personal. I bought the previous three prints as souvenirs. When I became an "adult" and had a place of my own, I had the prints framed. I've been using them since. 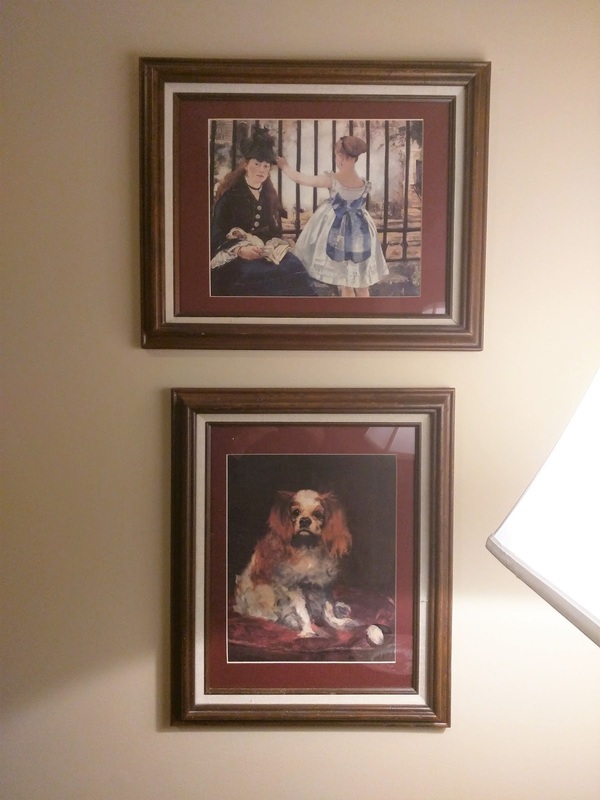 The frames need to be updated, but the prints still look great and hold significant sentimental value. They've traveled the house--bathroom, bedroom, and they currently reside in the living room. Thank you, Mrs. Ward, Mrs. Crowder, and Mrs. Sloan for making me think, learn, and love all things American Studies. Now I'm curious. 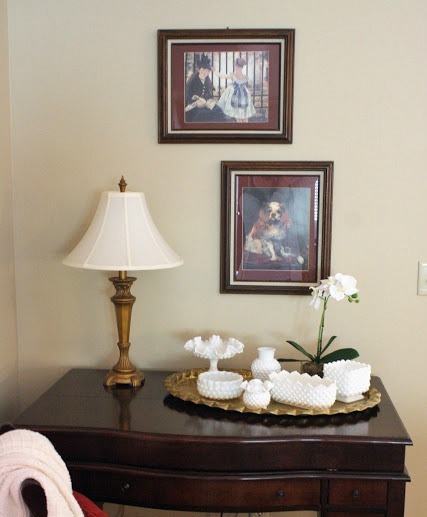 What's the oldest thing you are using to decorate in your house?